Sustainable living is possible, because each of us has the power to make some positive changes though and decide to go for a sustainable lifestyle. Some people believe that living green is a waste of time because you are only one person. Yet if the educational information out there about it could encourage many individuals to all do their part it would have quite a significant impact overall. Integrate sustainability into your lifestyle involves awareness of the impact of your choices in food, energy use, transportation, and products you use. Focus on the small steps you can take, at work, at home, and in your community. Improving your mindset is one of the most important parts in creating a sustainable lifestyle. And while sustainable living takes a lifelong commitment, you can make a switch in your mindset in less than an hour. Just sit down take a notebook and plan your next day ahead. If you are going to the grocery store take same reusable bags with you. If you need your car to go to work or take your kids to school what else can you do on the way? If you are ready to start a simple green living and to do your part to reduce the carbon footprints you have placed on this Earth it is time to learn about the various ways you can do so. It is never too late to make some positive changes to your behaviors, like using green energy, so that you can live healthier and so can everyone around you. Recycling is one of the easiest as well as most effective ways of sustainable living that you can help the environment. There are plenty of different projects at home you can separate from your trash for this purpose. It is convenient if you buy plastic trash barrels and label them for individual products. You should have one for glass, plastic, and cardboard. If you drink soda from cans then have one for those aluminum cans as well. Find out where you can take each of these full barrels to be recycled when you need to. There should be centers for them locally around town. Discover more recycling tips here. Electronics impact the environment and human health, because fabricating and shipping electronics use water and energy, and often create waste. Look for e-waste recycling programs in your area. There are specialized centers and they can safely dispose and may be able to recycle some of the material. We use electricity for many things in our lives, and often do so without thinking twice about it. We turn on the switch for lights in our home and to turn on electronic devices all the time. Yet we need to do our best to save as much power as we can to live sustainable. 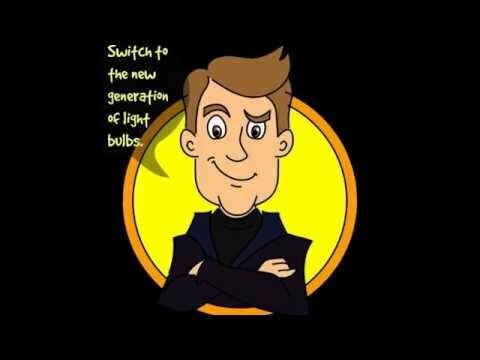 The types of light bulbs that you are using can be a problem for the environment. There are many places that sell those CFLs that are energy efficient but not environmental friendly. You can get LED instead in any size you need for all the rooms in your home. They aren’t very expensive and what you do spend on them you will save with a lower electricity bill each month. The use of sky lights has become very popular for green homes and also the use of green energy. Sky lights allows the sun to be shining through the ceiling and so less electricity has to be used. Did you know that you can get real sunlight into the darkest corners of your home? Yes, you can collect sunlight on your roof and funnel it via fiber optics to different rooms in your home. You can also place decorative solar lights along your driveway or install a motion light. There are many ways in which you can generate electricity too that comes from alternative energy sources. You can place home solar panels on your roof which will collect electricity. That is the source your home will use for all of its needs when you turn the power on to something. Eco friendly homes that run out of the solar power that has been collected will immediately kick over to the regular electricity without any interruption to you at all. There is also the use of wind energy and water power in some areas. Take a look at these alternative methods and see what you can do with them for your own home. Paper products are used all the time in our society, and that means more trees are being cut down to keep up with that demand. The trees live off the carbon dioxide that is in the air we breath. As their numbers are depleted, there will be more carbon dioxide remaining in the oxygen we breathe. There are many ways in which you can cut back on the use of paper both at home and at work. If you get a ton of junk mail each week it can become a chore to weed through all of it. Go online and sign up to opt out of receiving it that way the amount of paper waste in your home will be reduced by about 1/3 without you having to do much about it. Find out which of your accounts you can get an online statement for. You can also pay bills online which will save paper in the areas of checks and envelopes. Try to buy notebooks, greeting cards, toilet paper, paper towels, napkins and other products that you see have been made from recycled paper. With more vehicles on the road today than ever before transportation is a huge factor with pollution. Even with emissions laws in place that limit how much pollution a car can give out, the accumulative amount of it is unbelievable. Taking the time to do your part to cut down on it will ensure everyone is healthier and breathing cleaner air. Even though you do need your vehicle, you may be able to use it less. Can you walk to the store or the park? Can you carpool for work or to get the kids to their various activities? Can you get a biofuel car? This will reduce the number of vehicles on the road each day by doing so. Taking care of our home inside and out is something most of us do take plenty of pride in. We want to be able to make it the very best that it can be. The landscaping outside is what everyone who drives by and who stops to visit us will see. It is important to use to be able to arrive home and to feel welcomed there by what we see. To get the most out of the water you put on your grass you need to take care of it in the early morning hours. This will result in more of it getting into the soil and less being lost to the process of evaporation. Place mulch in a nice layer over the top of the soil, this will prevent the water from evaporating so your plants and flowers will get to retain more of it. Sustainability lawn care – Don’t reach for chemicals to kill off weeds that grown in their garden or their lawn. Yet this isn’t the right solution to turn to with a sustainable lifestyle. First, find out what type of weeds you are growing. That will tell you what the problem may be in that area. Some weeds are actually good for your lawn and you will want to leave them. They can serve as a natural fertilizer for your yard. The rest of them you want to pull out by hand or to use tools to remove them. Make sure you get them from the roots up so they can’t regrow as easily. Switch to “neem oil” as an organic method to pest control and insect control in your garden. If you have a very small lawn you may want to consider using a hand propelled, but if you don’t want to put your strength into using a reel mover you can look for an electric lawn mower. It is important to drink plenty of water each day, avoid plastic bottles and have a look for reusable glass bottles instead. If you think that´s too heavy you can get bottled water delivered to your home in large containers. When you complete a sustainable living project in your home such as remodeling and painting you will likely have left over supplies. Instead of throwing them away and they end up in a landfill and damage the ground you can donate these to one of the many organizations that collect such items to help others. Next time when you buy some paint watch out for more eco friendly products. Sustainable living is a lifestyle and living green is something we should all be concerned about. Making the world a better place for us and for future generations is very important. The damages we do today will have a significant impact on the rest of the world. Young children, adults, and even the elderly can all get involved in making the world a better place for all of us.